Collaborative art projects area a win-win in the art room. Collaborative projects encourage teamwork, develops oral communication, encourages respect and appreciation, and fosters peer-based learning. 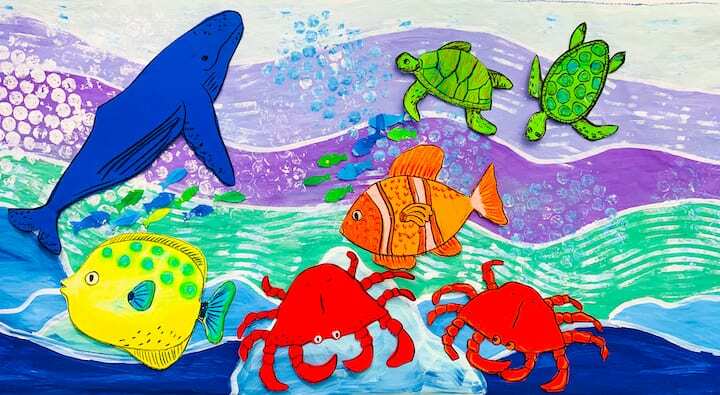 To celebrate Earth day in your art room, consider combining a collaborative mural with individually created marine life. 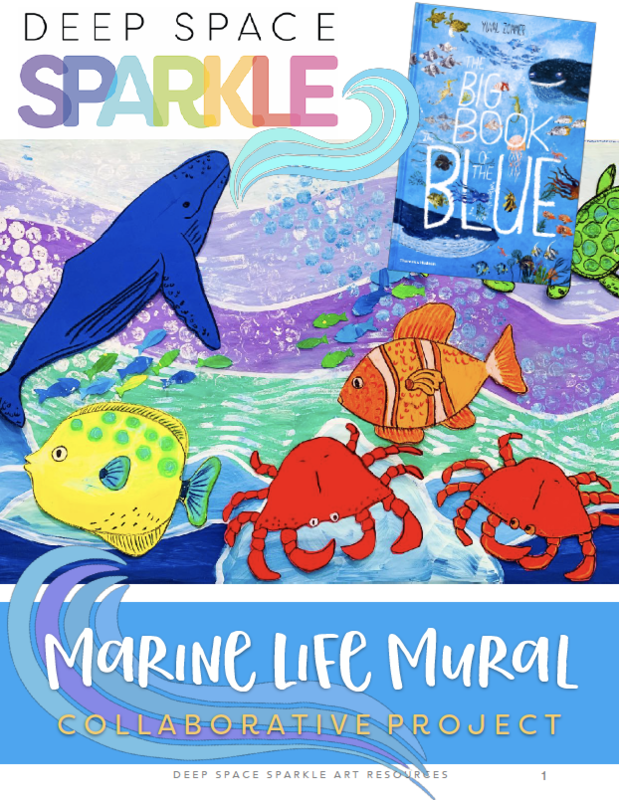 Students share the experience of selecting and mixing paint colors, painting the background and then adding their own individual marine life animal to the mural. This project is best for students in grades 2nd-5th but depending on your choice of marine life, the project can be adaptable. The Big Book of the Blue by Yuval Zommer is filled with beautiful illustrations and valuable lessons about our oceans and the animals that live in them. 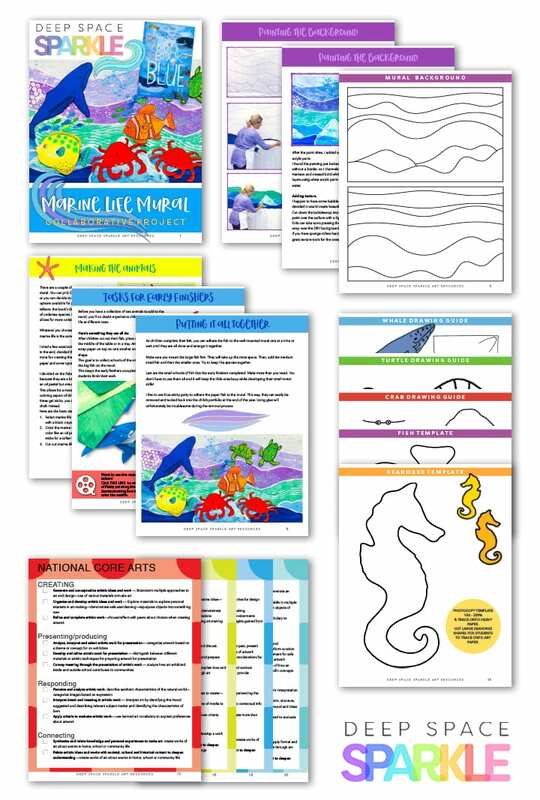 The tutorial in this packet walks you through every facet of the mural construction from outlining the background to drawing steps for the various marine life. 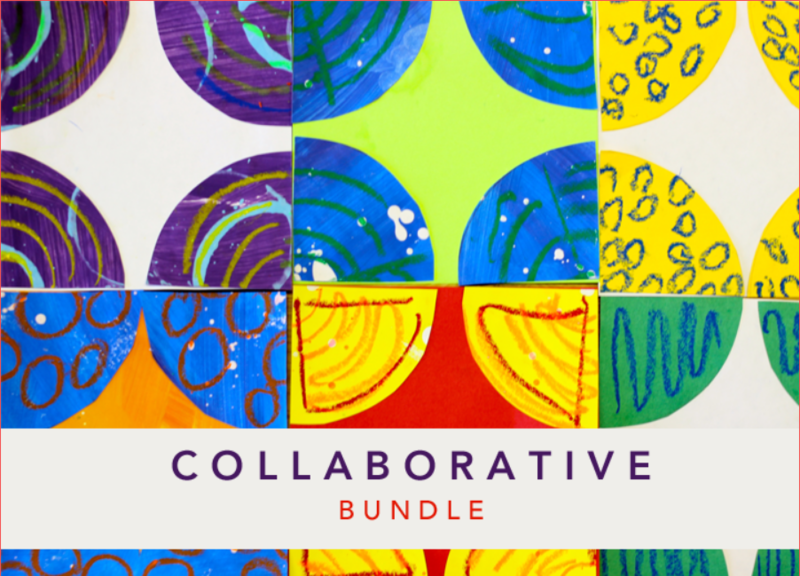 This lesson is included in The Sparkler’s Club in the COLLABORATIVE ART BUNDLE. MEMBERSHIP ONLY OPENS TWICE A YEAR: Sign up for the WAITING LIST to learn when YOU can join The Sparklers Club!